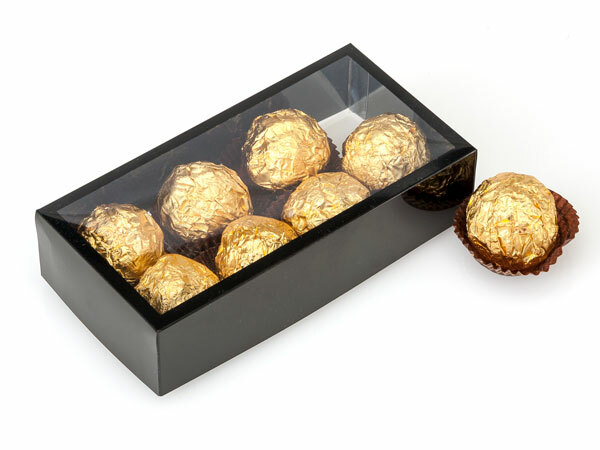 2 piece pre-formed clear candy box with a solid black trim on the top and sides. Holds 4 truffles. Actual box dimensions are: 5-1/2" L x 2-3/4" W x 1-3/8" H.